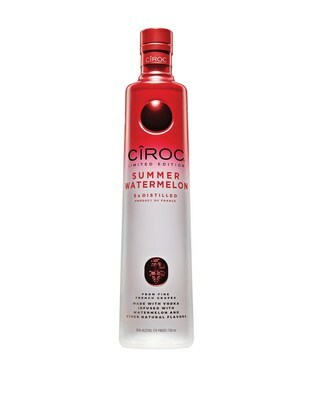 NEW YORK, April 15, 2019 /PRNewswire/ -- Sean "Diddy" Combs, DJ Khaled and the Makers of CÎROC Ultra-Premium Vodka proudly unveil CÎROC Limited Edition Summer Watermelon, the newest addition to the successful flavor portfolio. CÎROC Summer Watermelon is a rich tasting spirit made with vodka five times distilled from fine French grapes, finished in a tailor-made copper pot still in Southern France. The vodka is masterfully infused with a distinctive blend of Watermelon and other natural flavors, resulting in a delectably juicy fresh taste accented by a sweetness and zest that carries into a smooth finish. The liquid is packaged in a luxurious and sultry red and white bottle with sleek matte red lettering, commemorating a fiery hot summer celebration. CÎROC Summer Watermelon can be enjoyed on the rocks or mixed with club soda or a variety of fresh ingredients such as pineapple juice, cranberry juice, lemonade and lime. 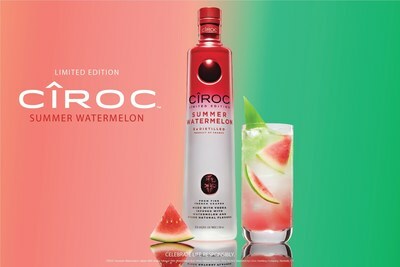 Following on the heels of past summer offerings, CÎROC Summer Watermelon is available for a limited time only. CÎROC Ultra-Premium is made from Fine French grapes, which are distilled five times, providing a crisp, clean taste and citrus nose. CÎROC Ultra-Premium launched nationwide in January 2003. In October 2007, DIAGEO – the world's largest spirits and beer company – made spirits history by entering into a strategic alliance with entertainment entrepreneur Sean "Diddy" Combs, in which Mr. Combs and Combs Enterprises assumed the lead on all brand management activities for CÎROC. The infused Vodka flavors in the portfolio to date include CÎROC RED BERRY, CÎROC COCONUT, CÎROC PEACH, CÎROC PINEAPPLE, CÎROC APPLE, and CÎROC MANGO, and CÎROC TEN Vodka. The brand received a 2013 Beverage Industry News Award of Excellence, was named 2011 Spirits Brand of the Year by Market Watch and earned a double gold medal from the San Francisco World Spirits Competition in 2010.